ShadowWhisper jumps at the sound. She quickly opens her eyes and looks around. She sees Shortkit on the floor. Shadow quickly trots to the kit. "Are you okay?" "Im fine!" she said before trotting over and curling up in Ashpelt's paws again. She was fast asleep in seconds. Shortkit hopped up surprised when she hears a loud hiss. 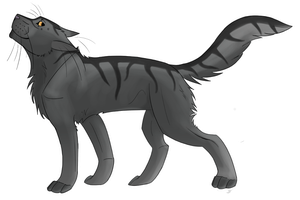 ShadowWhisper growls and walks very close to Ash. "Look! I'm not in the mood for your nonsense. I came to make sure that Shortkit is okay. Not deal with you and your problems." She narrows her eyes. She sharply turns away and walks back to her spot. Shortkit's ears pinned flat against her head as her hackles raised. She didn't like very much confrontation. ShadowWhisper tries to relax herself. She doesn't like being aggressive, but she doesn't like aggression from other cats either. She takes a couple deep breaths. Dawn crept up making sunlight splash on the camp. Shortkit pounced on Ashpelt letting out a loud, excited mew "You promised we would train today! Get up! I wanna learn as much as possible!" she squealed pouncing on his side. ShadowWhisper decides that she should patrol the territory. She gets up and stretches before she gets moving. She exits the entrance and begins patrolling. "Can i come!" she bounds up to ShadowWhisper and circles the she cat. "Sure, Shortkit," ShadowWhisper replies. "But remember, stay next to me." She didn't want to kit to get hurt. Shadow waits for the kit to respond. "Yay!!" she squeals hobbling after ShadowWhisper her eyes bright with excitement my first time out of camp! she though in giddiness. "We are going to the territory border," ShadowWhisper says to Shortkit. 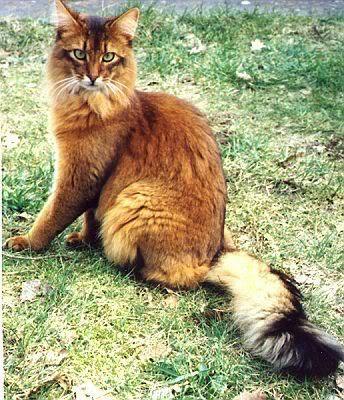 She glances down at the kit and flicks her tail. "Let's go." Shortkit hobbled after her, excitement glazing her pale hazel green eyes. Mistykit silently listened to the two frolicking cats, his ears flattened in disappointment. He sighed when the younger cat talked about becoming a warrior. "I'll never be a warrior..." He mewed, resting his head on his paws. Briarpaw trots to the entrance. She quickly sneaks towards the bushes. She observes every cat in the camp. 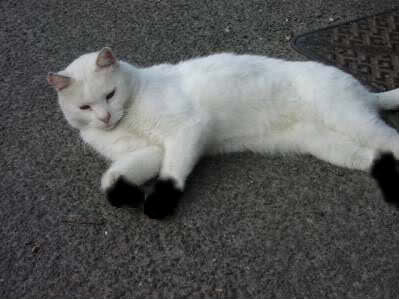 A large white cat with a black harlequin spotting was lying flat on a flat boulder. The sun soaked into Lurkingflame's pelt, he let out a blissful sigh. Briarpaw looks at the tom. She bends her even lower. She observes him and flicks her tail. Suddenly Lurkingflame had a prickling sensation that someone was watching him. He lifted his head and glanced around. BriarHeart crouches very low. Her tail is down and her eyes are glued to Lurkingflame. She slowly moves closer. Her pelt blends in with her surrounding.